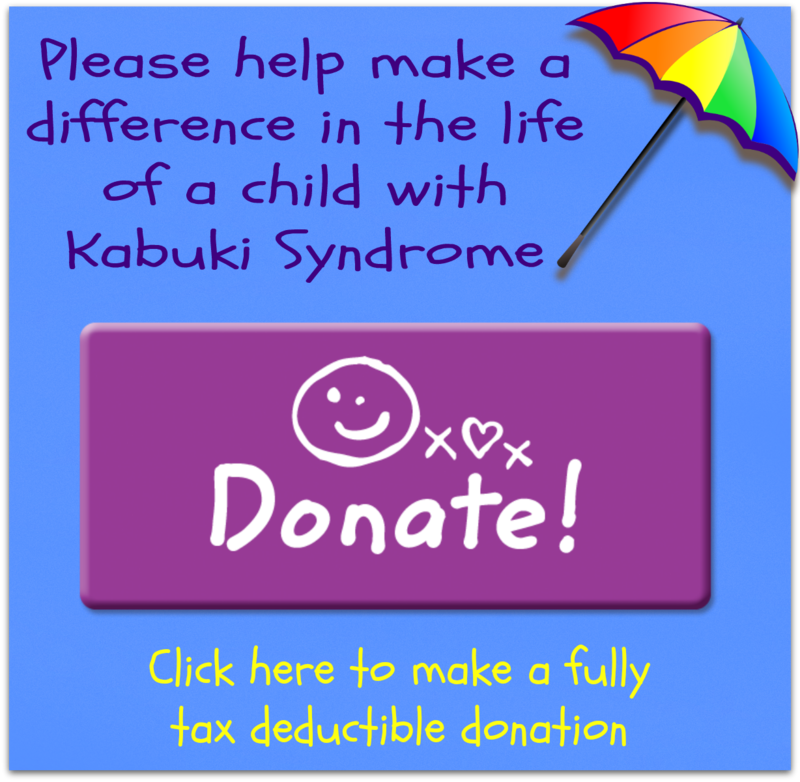 The following is a list of medical conditions that may be relevant in persons suffering from Kabuki Syndrome. It is important to note, that every child is different and may not suffer from the following conditions. A cleft lip is an opening in the upper lip. Normally the lip is formed by the union of two tabs of tissue that grow in from the sides of the face with a central tab that grows down from the tip of the nose. Click here to find out more. A cleft palate is an opening in the roof of the mouth. In the first eight weeks of pregnancy, bone and tissue normally grow in from the sides of the upper jaw to join in the middle and form the roof of the mouth (called the ‘palate’). Click here to find out more. Many people with a small or single kidney have excellent health with no problems. The chances of complications or problems developing depend on the cause and severity in each individual. The specialist should advise each individual about problems that could develop in their case. Click here to find out more. The ectopic kidney is generally sited in the pelvis although it may be found anywhere in the abdomen. In some instances an ectopic kidney may be fused to a normal kidney. Click here to find out more. Stones occur due to abnormal and excessive accumulation of stone forming substances in urine which are normally dissolved due to presence of substances which inhibit stones formation like citrate, pyrophosphates. Click here to find out more. Hydrops fetalis is a severe, life-threatening problem of severe oedema (swelling) in the foetus and newborn. It is also called hydrops. Click here to find out more. Bronchopulmonary dysplasia involves abnormal development of lung tissue. It is characterised by inflammation and scarring in the lungs. It develops most often in premature babies, who are born with underdeveloped lungs. Click here to find out more. High blood pressure in the arteries that supply the lungs is called pulmonary hypertension (PHT). Click here to find out more. Pulmonary stenosis is a congenital (present at birth) defect that occurs due to abnormal development of the foetal heart during the first 8 weeks of pregnancy. Click here to find out more. Coarctation of the aorta is a narrowing of the aorta, the main blood vessel carrying oxygen-rich blood from the left ventricle of the heart to all of the organs of the body. Click here to find out more. Necrotizing enterocolitis (NEC) is the most common gastrointestinal emergency in the premature infant. Click here to find out more. Simultaneous Right and Left Inguinal Hernia. Click here to find out more. An undescended testicle is one that did not move down into the scrotum. Click here to find out more. Feeding through a tube that is placed through the nose into the stomach. Click here to find out more. Hypotonia is a medical term used to describe decreased muscle tone (the amount of resistance to movement in a muscle). Click here to find out more. Seizures are caused by abnormal electrical discharges in the brain. Click here to find out more. Microcephaly is when there is a defect in the growth of the brain which causes it to be smaller than the normal brain. Click here to find out more. Hip Dysplasia is a comprehensive term that has been used to include a spectrum of related developmental hip problems in infants and children, often present at birth. Click here to find out more.